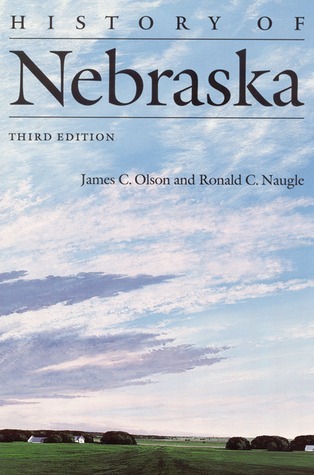 A fairly comprehensive one volume history of the State of Nebraska. This book has an academic feel, and is probably the basis for a college course on the subject, but is also written in such a way to make it accessible to the general reader with extensive citations for further reading for someone looking for more in-depth information. Having not read the previous three versions of a book first published to mark the territorial centennial in 1954, I found the 4th edition to reflect current research on all of it's topics, from the historic peoples, to the environment, to politics, both historic and current (limited only by it's publication date). This books look at the good and the bad of the History of Nebraska and I appreciated both the things I learned from this book as well as the context it gave to things I knew that reflect the unique spirit of Nebraska and Nebraskans. The layers of revision have resulted in a book that doesn't consistently follow a particular school of history; most of the chapters focus on economics (with many dull recitations of statistics) and politics (mostly focused on governors), with the dabbling in the histories of women and minorities not really integrated with the rest and very little narrative that might make for more interesting reading. Great, well-written, an amazing resource and feat of information-gathering, it was nonetheless exhausting. I did however like reading it slowly and in conjunction with other works of historical significance.